Bella Swan is not at all enthusiastic about going to live with her father in his wet and grey town in Washington state. She loves her life in Phoenix, but she feels that this is something that she has to do for her mother, who has remarried and who wants to travel with her new husband. Bella has visited Forks many times and it has not changed. The rain drives her crazy and she is sure that the first day of school is going to be difficult. The one positive thing that happens is that her father buys her a truck of her own to drive around. True, the truck is pretty old, but it has character and it gets her from place to place. The first day of school is just as she expects except that she meets a boy, Edward Cullen, who is so "beautiful" that he completely befuddles her. Edward's response to Bella is to scowl at her and to behave as if she has done something to offend him. Apparently Edward and his siblings are very standoffish, keeping to themselves at all times. Then Bella almost gets hit by a car and it is only Edward's quick thinking – and superhuman strength - that saves her. Bella cannot understand how Edward was able to do what he did. There is something very different about him and she is dreadfully attracted to him. He, on the other hand, burns hot and cold. One minute he is friendly, and the next he is trying to keep his distance. It is only when a local boy begins to talk about vampires that Bella begins to connect the dots. 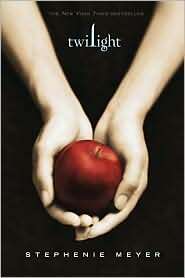 She and Edward start to see more and more of each other and finally the truth about who and what he is comes out. Edward is vampire and though he looks seventeen he is actually a lot older. All the people in his adopted family are also vampires, but none of them feed on human blood any longer. Instead, they hunt for animals. This does not mean however that they don't have a hunger for human blood. At times Edward has a hard time keeping his need in check when he is around Bella. One thing holds him back, he is in love with her, as she is in love with him. This incredibly accessible love story is definitely not your run of the mill boy meets girl tale. Beautifully written, and perfectly capturing the confusion and wonder of a first love experience, this book is full of humor, poignancy, and tension. Readers can never be sure what is going to happen next, and they will be hard put not to feel some connection with the young lovers who are so unalike, and yet who cannot control what they feel for one another. Readers who enjoy this book will be delighted to know that it is part of a series; further books about Bella and Edward are available and waiting for them.